Our challenge was to understand the sales pattern for holiday park bookings in order to effectively plan, implement and evaluate business performance, to grow the revenue for the holiday parks. 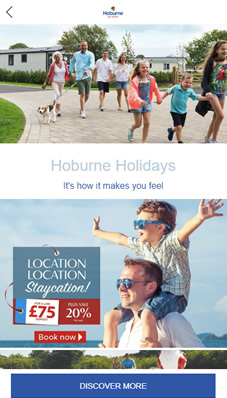 Hoburne owns 7 holidays parks in the South and South West of the UK. Guests are invited to stay in lodges on a family friendly complex with on-site entertainment throughout the year. The client’s booking data was in a bit of a muddle, they couldn’t work out which months people booked. This meant that they didn’t have the data to confidently to push the shoulder months sales and were often chasing the summer bookings in the wrong months. This resulted in a media overspend (Sad Face). Piecing together the data that enabled decision making. Step1. By the end of December 2016 Hoburne Holiday Parks believed they were “losing out” on their early season advantage for 2017 bookings. Our data analysis needed to provide evidence to support or contradict this theory. Step 2. Once this had been proved we then needed to deliver an effective digital strategy to discover how we could best address the situation to help them achieve their ambitious revenue targets. During the research we found out that TOY drove sales for August, but last minute deals helped to fill shoulder months. Our daily reports were customised to contain more insightful information about what, when and how people were booking holidays with Hoburne. By identifying when the sales burst was likely to happen in future months we could prevent panic decisions and retain a steady strategy for PPC & SEO, and became instrumental in determining how paid search budget was allocated and helped to prioritise SEO tasks. 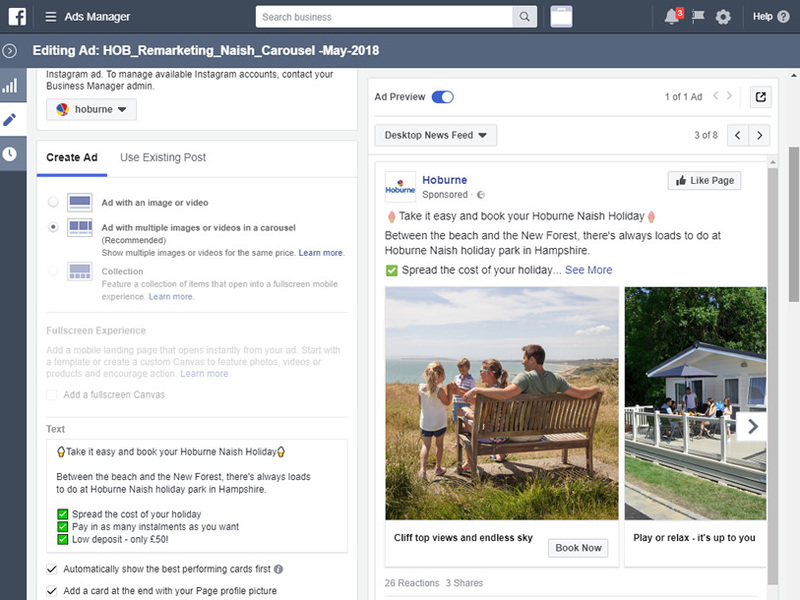 We also identified data that allowed us to geo-restrict our campaigns and upweight our AdWords bids to maximise Hoburne’s presence in the most lucrative areas. We also applied a radial approach to bid adjustments, focusing on key hotspots and applying a tiered bidding strategy. We have taken a business that knew very little about its booking patterns and marketing efforts, and empowered it – enabling strategic marketing decisions client side and innovative digital optimisation decisions on our part. (Smiley face with drop of sweat). Find out how we overcome the challenge of limited tracking on our clients booking system, and what to avoid when choosing a new system.